Although grants, scholarships and loans can significantly lower the costs of college, prices have increased faster than the rate of inflation. Use this tool on the New York Times website to estimate the future cost of college. 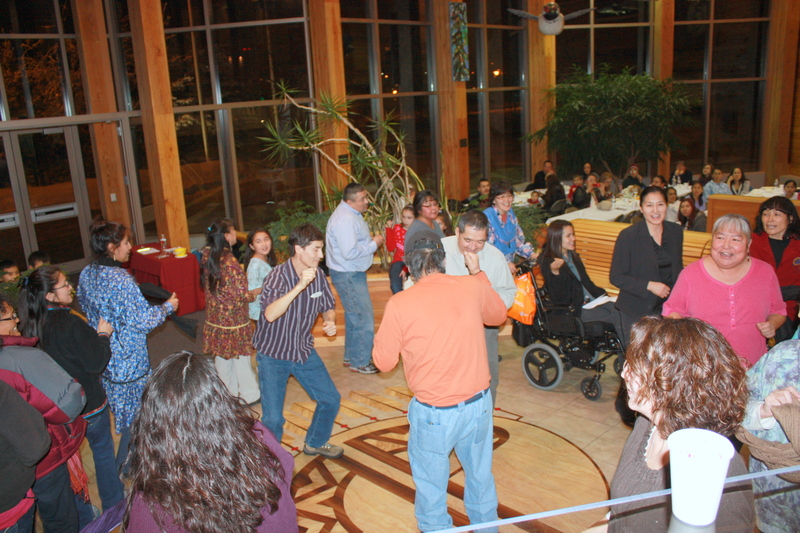 Doyon Foundation will host an open house on Friday, February 5, 2010 from 3 – 6 p.m. at their new offices at 714 4th Ave., Suite 302B in Fairbanks, Alaska. All Doyon Foundation students, alumni, family, friends, donors, sponsors and other supporters are invited to attend. During the event, attendees can tour the new office; find out about scholarship programs, the alumni association and other Foundation efforts; and learn about volunteer, donor and sponsorship opportunities. For more information or to RSVP, please contact the Foundation at 907.459.2048 or foundation@doyon.com. The Doyon Foundation recently received both the honor and the opportunity to benefit from an event being hosted by University of Alaska Fairbanks (UAF) Chancellor Brian Rogers and Sherry Modrow. The event, Dancing with the Cars, is a gala celebration of university and Fairbanks community partnership, and will be held on Friday, February 12 from 7 – 11 p.m. at the Fountainhead Antique Auto Museum. On behalf of the Doyon Foundation, I would like to invite you to attend this wonderful event, which will feature fine food, antique autos, music, dancing, a live auction and a preview of the Fairbanks Concert Association’s performance by Street Beat. Tickets are $75 per person or $60 per person for two or more, and are available for purchase now at www.uaf.edu. All proceeds benefit Doyon Foundation scholarships, as well as the UAF Arctic Innovation Competition. We are so honored to be asked to participate in and benefit from this event, and would deeply appreciate your attendance at and support of Dancing with the Cars. Please see the Dancing with the Cars invite for additional information. I hope to see you at Dancing with the Cars on February 12! Doyon Foundation and the Doyon Foundation Alumni Association hosted a spring 2010 student dinner on Tuesday, January 26, 2010 from 5:30 – 7 p.m. at the Doyon, Limited building at 1 Doyon Place in Fairbanks, Alaska. 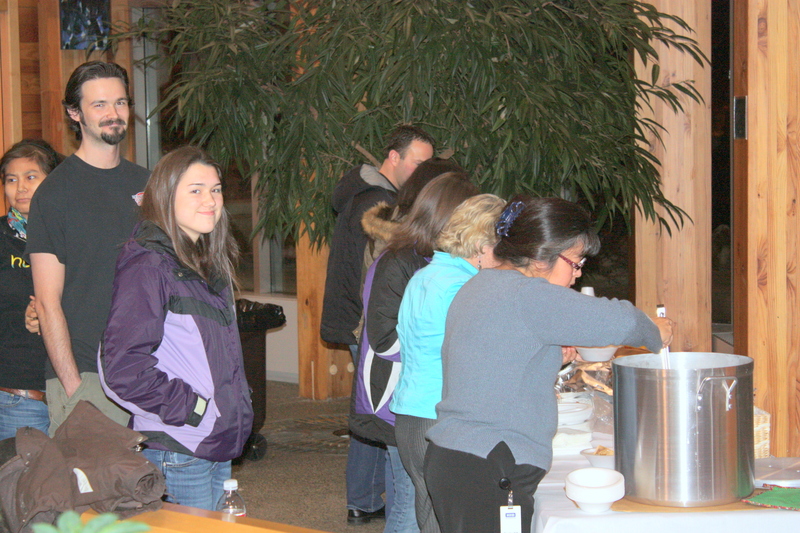 The event had an excellent turnout of about 70 people, including approximately 25 students, as well as Foundation alumni, family, friends and other supporters. The Foundation was honored to be joined by Second Traditional Chief Trimble Gilbert and his wife. The Foundation wishes to thank the alumni who donated time, food and door prizes; Teisha Simmons and Miranda Wright for moose meat for the soup; Downriver Singers for their wonderful performance; and Dee Linzner for making the soup and rolls. Watch this blog, www.doyonfoundation.com and the Foundation e-newsletter for news on future student dinners and other upcoming events! 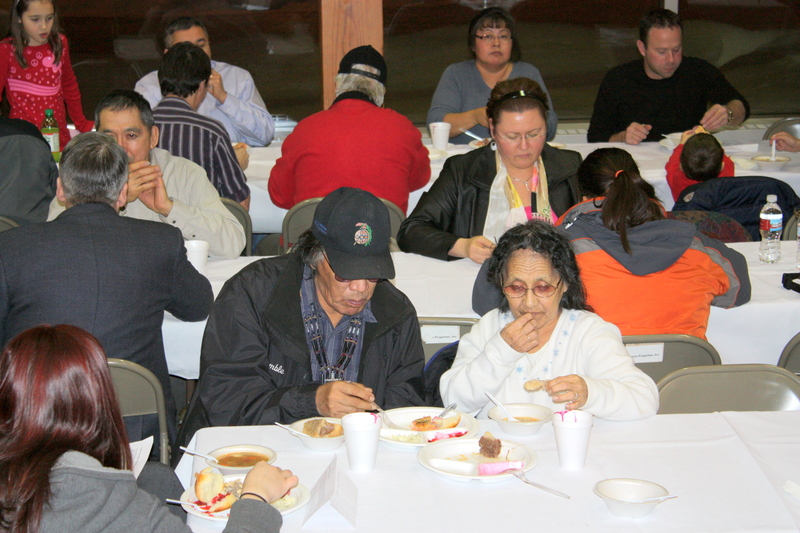 To learn more about how you can show support of Doyon Foundation, please visit www.doyonfoundation.com or call 907.459.2048 or 1.888.478.4755 ext. 2048. 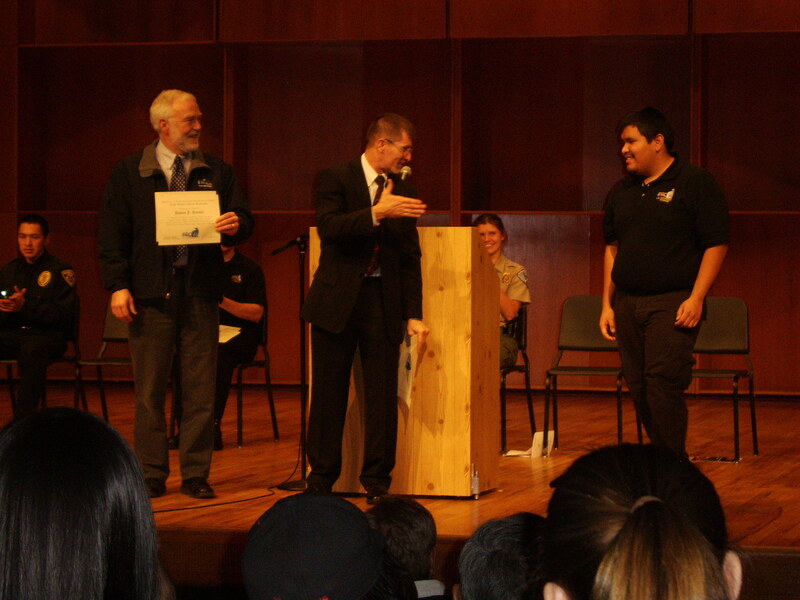 Doyon Foundation congratulates student James Ketzler of Nenana, Alaska, who recently graduated from the Law Enforcement Academy at the University of Alaska Tanana Valley Campus in November 2009. For more information on the Law Enforcement Academy, visit http://www.tvc.uaf.edu/programs/lawacad/index.html. For information on Doyon Foundation Law Enforcement Academy scholarship opportunities, contact the Foundation at 907.459.2048 or foundation@doyon.com. Husband. Father. Student. Employee. Active community member. These are just some of the hats that Doyon Foundation student Ramy Brooks is currently wearing. “As a non-traditional student, I have had to juggle the demands of being a husband and father who has to provide for his family and also the demands of being a full-time student. The scholarships that I have received from the Doyon Foundation, along with other scholarships like the CH2MHill scholarship that I heard of through the Foundation newsletter, have made it possible for me to pursue my education,” Brooks said. Brooks is currently attending the University of Alaska Fairbanks, where is he studying geological engineering. He expects to graduate in 2013. In the future, Brooks would like to move out of the field of heavy equipment operation, where he currently works, and into a new career in geological engineering. There are two major challenges Brooks is facing in pursuit of his goals – money and time. “To overcome both of these challenges, I think that it is necessary to stay focused on your studies and to get good grades so that there are scholarship opportunities available. It also takes sacrifices from your entire family to understand that you might have to do with less for awhile so that in the end you can benefit from getting a higher education,” he said. His advice for other students? “When you need help, whether it is financial or academic, there is no stupid question. 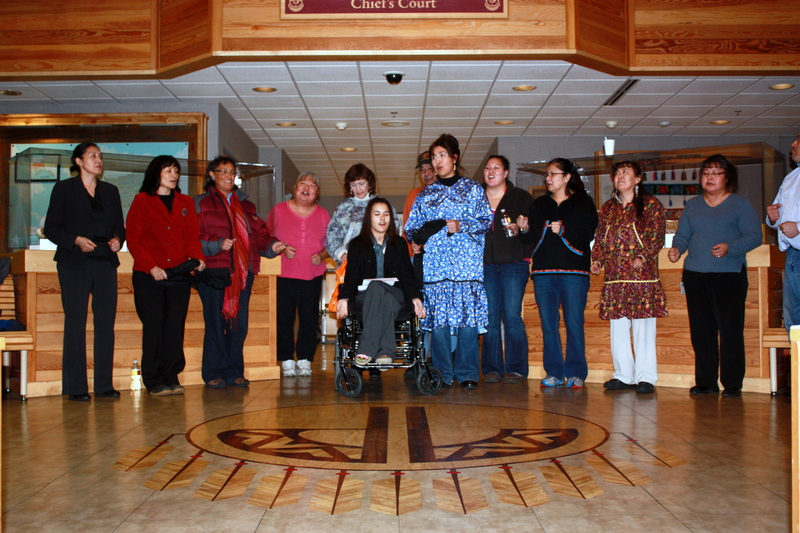 There are resources for help, and if you don’t find the help that you need from the first place, look elsewhere,” Brooks said, suggesting that students utilize groups like the Alaska Native Science and Engineering Program, student chapters of professional organizations, and the Doyon Foundation newsletter. Brooks is the son of Roxy Wright and Mike Brooks, and the grandson of Gareth and Miranda Wright, and Vera Strack. In his spare time, he enjoys spending time with his family, dog mushing, hunting, reading, being outdoors and working with the Alaska Mental Health Trust to raise awareness of mental health issues.